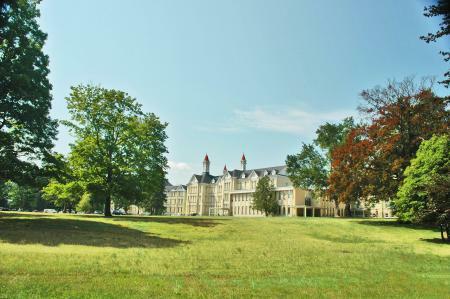 Set in a 500-acre expanse of forest and meadow, the tall castle-like buildings of the hospital complex date back to the 1880&apos;s, when state officials chose Traverse City as the site of a new asylum, in the belief that fresh air and beautiful surroundings could ease the sufferings of the mentally ill. The hospital became a huge park filled with Victorian-Italianate buildings of golden brick and planted with exotic trees collected from around the world. It was also a small, self-sufficient city in its own right, with a population that reached as high as 3,500 – larger than that of the city itself. The centerpiece of the Commons is Building 50, a massive structure topped with ornate scarlet-tipped turrets. Three stories tall and a quarter of a mile from end to end, it is undergoing a gradual makeover that is nearly 60 percent complete. Its garrets and lofts are condominiums and apartments; its lower floors hold offices and businesses, while its former cellar is now The Mercato, a subterranean shopping mall of trendy galleries, boutiques and restaurants. Other buildings in the huge redevelopment area have also been turned to new uses. The asylum’s former fire station is now an organic bakery; another old brick building is a restaurant, while the former laundry houses a winery and tasting room. Meanwhile, the property’s wide tree-shaded lawns have become a prime space for public events and festivals. And the pace of development shows no sign of slowing down, especially now that a new system of roads and sidewalks now links the once isolated asylum campus to the rest of the town. The Mercato continues to extend itself northward, while the 13,000-square-foot former chapel at the center of Building 50 has emerged from a $3 million facelift as a multi-purpose event and meeting space. 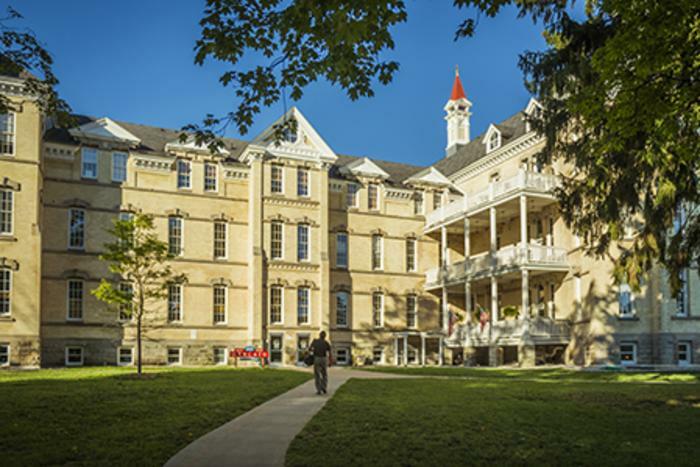 There is talk of a microbrewery/brewpub, and of a boutique hotel and conference center in several “cottage” buildings on the periphery of the campus. Meanwhile, a set of huge “cathedral barns” that once belonged the asylum’s self-sufficient farm are being readied for a $1.5 million renewal that will make them into indoor spaces for concerts, farm markets and weddings -- and the headquarters of the 26-acre Botanic Garden of Northwest Michigan.